Being a Church in Mission: Reflections from Tasmania on the Anglican Church of Australia, Anglican Institute Public Lecture 2016, Ridley College Melbourne. Of questions, there are many when Christians get together to discuss Faith-Based Organizations involved in aid and development. When a Christian organization sends out Christmas cards with ‘Season’s Greetings’ rather than Christmas greetings, has it lost its way? When a Christian organization employs non-Christians to drive trucks to deliver emergency supplies has it lost its way? When a Christian organization dispenses with Church volunteers in order to increase ‘efficiency’ has it lost its way? 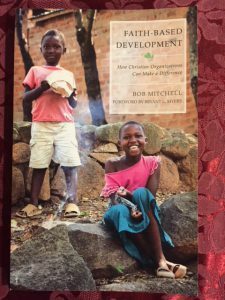 Bob Mitchell has some questions of his own as he brings theology, governance and development practice together in his compelling, ‘Faith-Based Development: How Christian Organizations Can Make a Difference’, Orbis Books, New York 2017. In an age of ‘Fake News’, Bob’s data based research using interviews and focus groups from diverse geographical and cultural communities is a gift to truth-telling! Bob, we thank you! Your data based research strengthens your engagement with critical issues. Of course there are other contexts where a more closed and militant faith may work against cooperation in development. 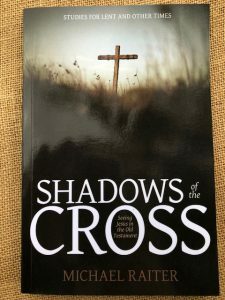 The book is scholarly in its approach and wise in its reasoning as it draws conclusions on the nature of faith motivation, and the delivery and effectiveness of development. Following her return to Christ, my mother blessed me by encouraging my attendance, during childhood and youth, at our local Anglican Church. However, I drifted away and it was through a Bible study and God’s grace that in my twenties I knelt at my bed and prayed a simple yet profound commitment to Christ. My wife, Gayelene, also committed her life to Christ at that time and we give thanks that ever since we have lived together in the joy and comfort of God’s embrace. We became BCA members while serving with CMS in Argentina for nine years. 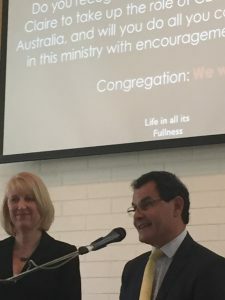 During that time, we felt we should continue our concern for mission in Australia and so we joined BCA and began receiving information and encouragement to support ‘Australia for Christ ‘. Upon our return to Australia and involvement in parish ministry in Melbourne our support for BCA continued. This involvement with BCA deepened during our 15 years in Tasmania. BCA is a long term partner in the mission and ministry of the Diocese of Tasmania and, as Bishop of Tasmania, I was privileged to work closely in developing new opportunities for mission. Because we saw so clearly the vital support of BCA missioners in areas of need, I willingly accepted the invitation to serve as President of BCA. It is a privilege and joy to continue in that role, and give to BCA a little of the great gifts I saw given to Tasmania (during my 15 years serving as the Bishop of the Anglican Church of Tasmania). Now, in Melbourne, we attend BCA functions and continue our support for BCA, including running a monthly prayer meeting in our home for BCA. What a joy it is to serve God through such a visionary, strategic and prayerful family such as BCA! May the God continue to bless the Bush Church Aid Society and all who minister through her fellowship in the Gospel of the Lord Jesus Christ. Come, worship “God with us”! 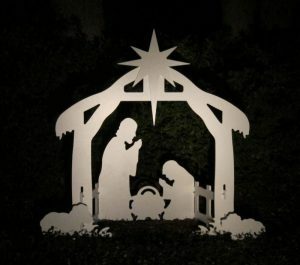 At Christmas we stop to worship the Baby of Bethlehem: Immanuel. God with us! God’s character, hope and meaning making are all found here – in this stable, at worship. This history is a deft interweaving of Church and society through 150 years: St Jude’s Anglican Church in Carlton. Carlton’s socio-economic conditions and demography, clerical and lay personalities, theological emphases, liturgical practice, the Melbourne Diocese, and national and international affairs are colourfully woven. Testing times, diverse personalities and ever-changing ministries all contribute to the life and mission of the ‘People of the Risen King’. The irony of writing of the seemingly endless struggle to make the parish buildings ‘fit for purpose’ at the very time it lies in ruins due to fire and a multimillion dollar building project is underway, is not lost on the author: a salutary reminder of the fragility and ongoing challenge of parish life. 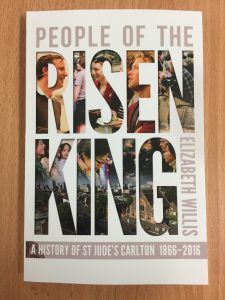 The colour, vitality and ethos of St Jude’s in an ever changing Carlton is brought to life in this insightful and inspiring history. The Parish’s social work encompasses the ‘free seats’ of the nineteenth century and the Debt Centre of the twenty-first century: a wide embrace of society that is at no time loosened. Carlton ‘larrikins’ blocking the entry of worshippers, the decline in attendance following the First World War, the depression, bulldozing to ‘clear the slums’, the building of Housing Commission estates, the opportunity to welcome ‘New Australians’, university ministry, discipleship training, parish partnerships and new congregations: throughout it all we see the faithfulness of men and women to the work of God. 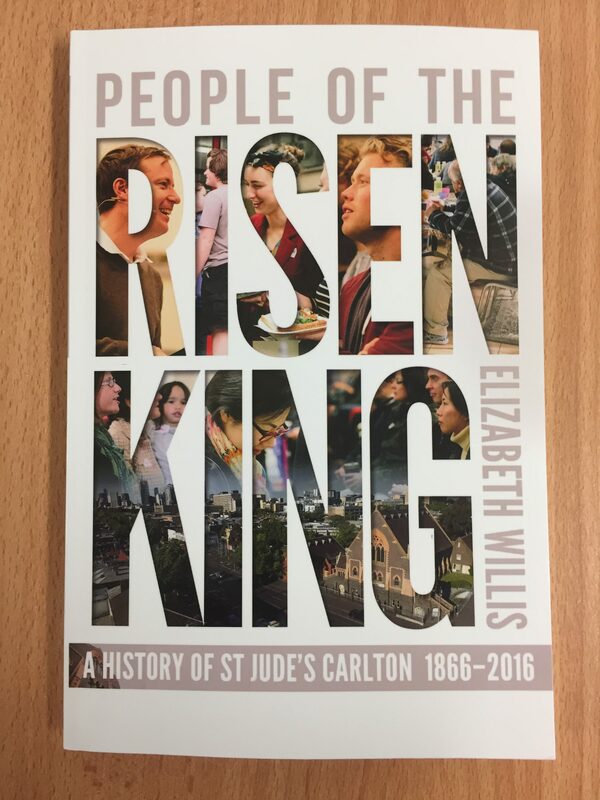 A stimulating read: leave time for reflection along the way for this history is a reminder that through the changing circumstances of parish life the Church is the ‘People of the Risen King’. Jesus Christ is the heartbeat of World Vision and we are to walk the Jesus’ talk, talk the Jesus’ walk and bring the life of his heartbeat to those in need. God’s love in Christ is extraordinary. God entered history in the person of Jesus Christ who walked, talked and lived the heartbeat of God in the conflictive world of Palestine. Jesus walked the Kingdom journey of family, ministry, death, resurrection and ascension for us and continues in intercession for us today, indeed he is praying for us at this very moment! Precious thought. The coming of the Holy Spirit empowers our own walk of faith in the complex and conflictive world of today. We believe that the Holy Spirit has gathered us here today to commission our Sister in Christ, Claire Rogers for her walk, talk and life as CEO of World Vision Australia. But, “No!” – A flippant dismissal of trauma is a gross misunderstanding of trauma. Tragedy strikes and trauma follows. Although the effects of the violence (emotional, physical, intellectual and spiritual) may lag the tragic event by years, trauma does come. Trauma from tragic events accumulates through life and can grow to become a toll too heavy to bear. When a person is suffering from trauma, they feel down, down, down! Crying, weeping, hopeless and alone, despairing, a failure, embarrassed, humiliated. But neither is wallowing in trauma with the tears, sadness, brokenness and hopelessness an option. Is it possible to deal with trauma at all? And if so, how? Let me say at the outset that I make no claims to professional expertise in the area of trauma or dealing with its consequences. My aim this evening is to learn from the experience of four people in Australia who have suffered traumatic events as well as a key character in each of two novels (‘Les Miserables’ and ‘Cry, the Beloved Country’) in order that we might better walk with sufferers of trauma. This is a pastoral and personal exploration of a complex and pain laden issue. Dealing with Trauma? – a pastoral and personal exploration is the Pearce Memorial Lecture delivered at the OSL Healing Ministries Triennial Conference Melbourne Oct 2017. A report on the Lecture, ‘Trauma is serious get help says Bishop Harrower’ by Stephen Cauchi, is in The Melbourne Anglican (monthly paper), November 2017, No. 564, p.12. 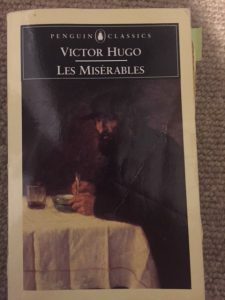 I borrowed Les Miserables from the mobile bus library when I was 14. I liked reading and each week with a friend I rode my bike to borrow books. 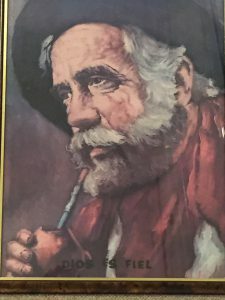 The book seemed like an adventure story, so I read it. It was about a man who had a hard life. He helped people. He rescued a poor girl and really cared for her. There were lots of adventures. But then, when she married, it was strange because he felt he shouldn’t be with her new family. This was sad. Eventually he died, nearly alone, but the candlesticks were with him. They reminded him always of a man who many years ago saved his life and helped him to go a different way. He was given a chance and it was not easy but he made choices to go that better way. They were sometimes hard choices. Choices matter. But some people are cruel and they don’t give you another chance, and that’s not fair. In the story there were women and children who hardly ever got any chances. People were cruel to them. I didn’t like that. It was unfair. But the man, because he had been given a second chance by the first kind man, he then himself gave people second chances. I liked that. I wanted to be like these two men. They were both kind and gave second chances to all sorts of people. Second chances matter. Growing up I didn’t have a father. I lived with my two sisters, mother, grandmother and great uncle. They all loved me and gave me second chances – and lots more chances. But people were not kind to my mother. They wouldn’t let us into a father and son night because she wasn’t a father. But a kind man from church saw my mother crying. He asked her if he could be my father for an hour and he took my friend, his real son, and me to the meeting. He was a good man who stood up for my mum and me. Reading this, I do indeed hear my younger voice. I have never forgotten the story Les Miserables nor the two men, the second chance, and the story of the candlesticks. The themes of Les Miserables (‘The Poor and Wretched’) are the themes of our own lives. The released, but brutalised, convict Jean Valjean, having received the Bishop’s hospitality, then robbed him of silver cutlery. Valjean is subsequently captured by the police and brought for condemnation before the Bishop. To Valjean’s astonishment, the Bishop insists the cutlery has been given to Valjean and even adds two silver candlesticks (“You forgot to take these”). Privately, the Bishop challenges Valjean: “You promised me to become a good man. I am buying your soul. I am rescuing you from a spirit of perversity and giving it to God” What beauty! The joy and power of grace and grace’s agenda. Yes, forgiveness is given. Grace is received. A second chance begun. 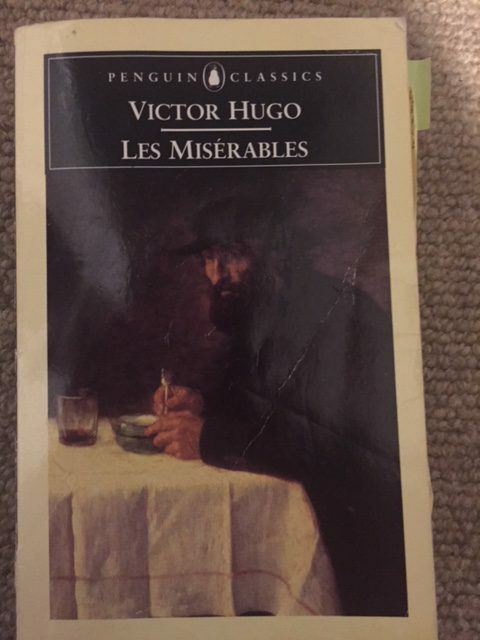 But the very next day, the second chance is dramatically thrown into question: Valjean robs a vagrant boy of a coin. The boy protests, struggles briefly, but then flees in fright. Valjean seems to suddenly come to himself and rushes after the boy but cannot find him. Guilt-ridden and in despair, he weeps in remorse. Jean Valjean struggled to live out the consequences of forgiveness, of the grace of the second chance. So unfolds a wonderful story of redemption, hope, sacrifice and love: of living out the Bishop’s gift of the candlesticks. I think that’s why I treasure my own ‘candlesticks’: reminders of God’s grace and forgiveness. God’s promise given decades ago – true today and true tomorrow. Praise God!